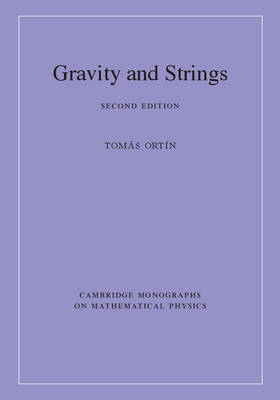 Self-contained and comprehensive, this definitive new edition of Gravity and Strings is a unique resource for graduate students and researchers in theoretical physics. From basic differential geometry through to the construction and study of black-hole and black-brane solutions in quantum gravity - via all the intermediate stages - this book provides a complete overview of the intersection of gravity, supergravity, and superstrings. Now fully revised, this second edition covers an extensive array of topics, including new material on non-linear electric-magnetic duality, the electric-tensor formalism, matter-coupled supergravity, supersymmetric solutions, the geometries of scalar manifolds appearing in 4- and 5-dimensional supergravities, and much more. Covering reviews of important solutions and numerous solution-generating techniques, and accompanied by an exhaustive index and bibliography, this is an exceptional reference work.